SFGE is pleased to host Project Pinball, a charitable, non-profit organization dedicated to providing relief to sick kids and their families, physicians, and nurses in children’s hospitals through pinball. A pinball machine is a powerful instrument that offers therapeutic benefits and also fits perfectly with the dynamics of a hospital environment. It helps keep patients active and mobile while also providing amusement. Project Pinball provides all the equipment, parts, supplies and the regular maintenance at no cost to the Children’s Hospital or the patients. 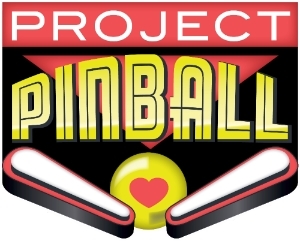 Project Pinball will be hosting an independent IFPA-sanctioned tournament all weekend long. The funds they raise will go directly to place machines in hospitals. So do what you can to help by playing pinball with Project Pinball at SFGE!